I made two Sorbetto‘s this week, the free pattern that blogland is going crazy-de-do over. Just about every blog I follow has made a Sorbetto or several, so of course I had to as well. I was particularly inspired by the 7 Days of Sorbetto which also provided a sleeve pattern, thereby making it something I would make. 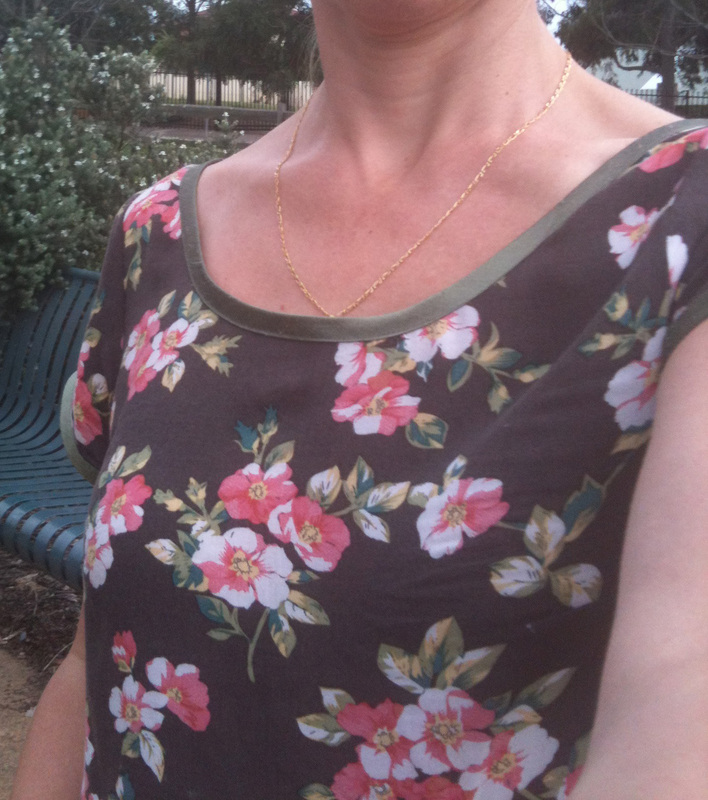 My first Sorbetto was a wearable muslin using a sarong fabric. It turned out acceptable, except that I was told by two people that it looks way to much like a sarong (well, it was) and I could only really wear it at the beach. Oh well. My second Sorbetto I made a few adjustment to my body, grading from a size 2 to a 4-6 at the hips, a small bust adjustment, a sway back adjustment, a sloping shoulder adjustment, lengthened it 3″ to a tunic length. I refashioned and old maternity dress that was about to go in the charity bin and used a green silk from my stash (prior life: curtains) as the binding. Oh, and I also took about 1.5″ out of the sleeve so they fitted a bit better and didn’t need as much gathering to fit. Love the look of the bias bound hems. I don’t have any decent photo’s sadly. Today (end of March, MARCH….how the hey did it get to be the end of March???? – Oh yeah, my life is a living something or other of child wranging/raising/nuturing/feeding/loving and basically not having a single second to spare). On the bright side, since my last post (end of December 2011) I have lost 8 kilo’s or so. So I have been busily away doing something constructive for myself in real-life-land. I am only really sewing again now as I wanted to get closer to my weight/size goal before I made anything for myself.